larva's body are left inside the chrysalis to grow into the adult. 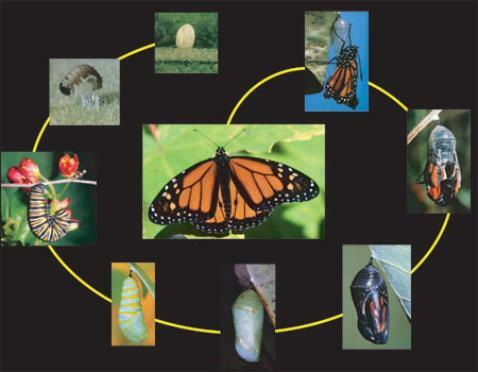 formed adult (center), a beautiful monarch butterfly. be adults, with the privileges and powers that implies. adoption as sons, the redemption of our bodies" (Romans 8:23). I die, hallelujah, by and by, I'll fly away."